This is a good question and I will begin by saying that forcing a child to learn against their will tends to backfire over the long term. There are definitely responsibilities in life that children need to accept whether they like it or not but guitar should not be one of them unless you live on an island where playing guitar is critical for survival. Generally speaking force when applied to learning guitar will only cause them to hate the guitar, their teacher and probably their parents. While I may be stating the obvious it can be frustrating for parents who have spent hundreds of dollars on a new guitar and lessons only to find out a month or two later their child won't practice and refuse to go to lessons. The good news for parents is you can positively influence your children to learn guitar but like your children it takes patience and commitment. 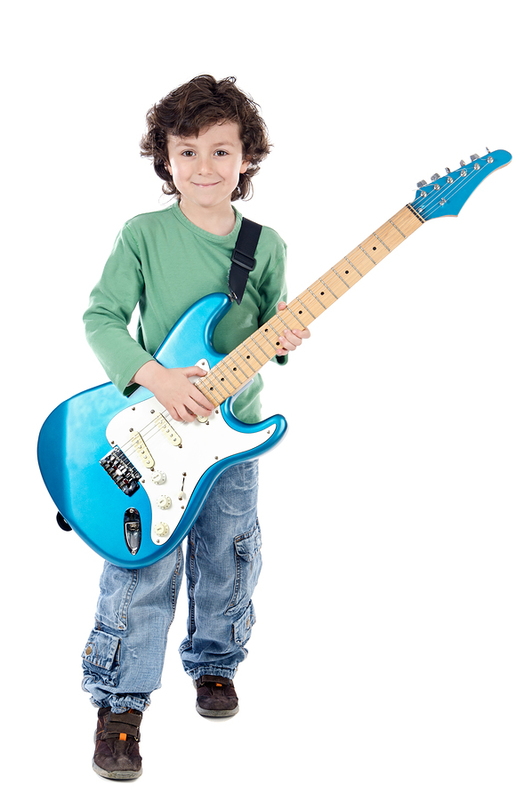 I have been teaching for over 25 years and in my early years of teaching guitar I saw a lot of children start guitar and give up within the first few months. I found this difficult to accept. I felt like it was a personal failure each time a student quit guitar. I felt I was letting my students and their parents down. People were paying me to learn to play guitar not to give up. I decided I had to find a way. I experimented with many ideas but also sort expert help by reading about great teachers, talking to successful teachers as well as listening and watching them teach. There was of course not one easy solution but I did notice one key factor that stood out among teachers who were successful with young students. Parent involvement was the key. Once I began to involve parents in the process I saw a dramatic reduction in student drop outs. Teaching guitar is completely different to school because we only see students once a week for a relatively short time. This is simply not enough time to make any real progress. A lesson is mostly about monitoring progress and planning the week ahead. Your guitar teacher has no real way of ensuring practice therefore progress happens at home but at the same time it is progress that parents are paying for. No parent wants to fork out hundreds or even thousands of dollars for guitar lessons for no result even if their child is enjoying the lessons. A good teacher knows that involving parents means students are more likely to get the help and support they need at home between lessons. Parents are almost always the one who make the difference between success and failure and there is a good reason why. The secret to success for children is also about creating a daily routine. (Just like brushing their teeth, doing homework etc.) Children need their parents to help them to establish the routine of practice. This takes 3 to 6 months (sometimes longer) of monitoring your child or better still sitting with them while they practice but the impact will usually last a lifetime. I can almost guarantee you that if you sit with your child each day for 3 months (15 minutes a day) you will succeed especially if you communicate with the teacher from week to week to ensure you are understanding what is expected. Parents are the secret ingredient.